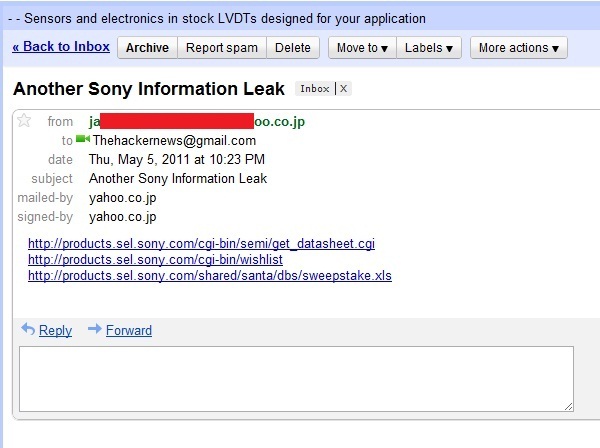 On May 5th 2011 THN received an email that Hackers once again attacked Sony for the 3rd Time. The Hacker News is a responsible an online Hacker News Organisation. We propagate news specifically related to security threats. Also, hacking threads and security issues from all over the world. We are NOT associated with any HACKING GROUP like ANONYMOUS or Others. 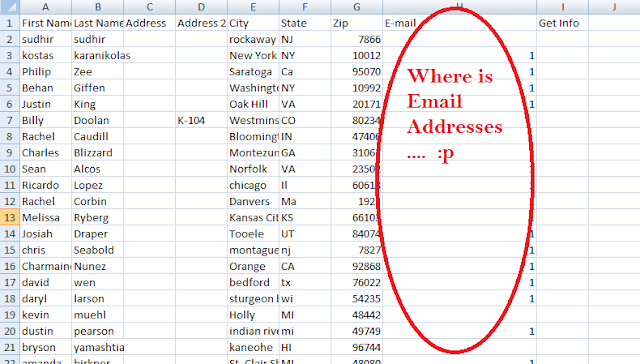 We check the links, that contains some waste list of user names , Even there is not a single email ID in whole excel sheet that can be used against some spam/hack. Then why Sony so Scared ?? 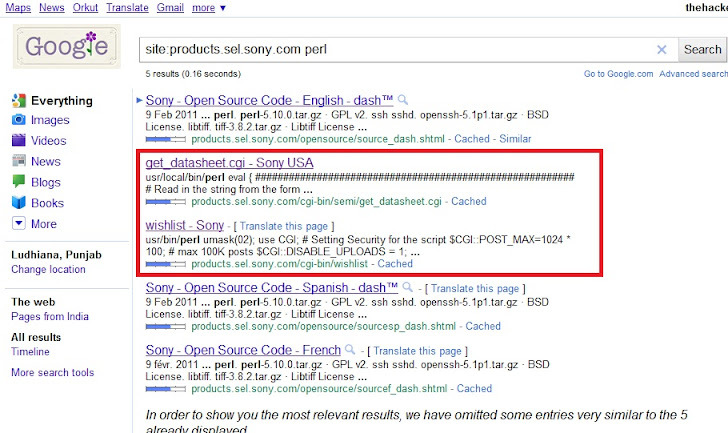 After our this was posted on THN, lots of sites/news portals created a big Issue that Sony got attacked 3rd Time. What is this ?? Is it called attack ?? Sony is never going to be affected with exposure of 2500 usernames only. Our aim in posting was to say "KEEP YOUR EYES OPEN, ANYTHING CAN BE HAPPEN AGAIN". 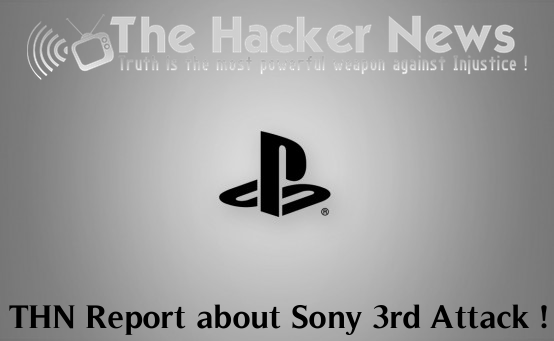 Sony Gives The Statement about the 3rd Attack on Saturday that it had removed from the Internet the names and partial addresses of 2,500 sweepstakes contestants that had been stolen by hackers and posted on a website, and said it did not know when it could restart its PlayStation video games network. The company, under fire since hackers accessed personal data from about 100 million user accounts of its PlayStation Network and PC-based online gaming services, said in a statement details posted on the inactive website also included three unconfirmed e-mail addresses. Now, search "site:products.sel.sony.com filetype:xls" , You will get that Excel sheet which contain those 2500 users data . Huh , is this called Hacking ???? Now as per talk with the core member of Anonymous, We can say that Core Anonymous are not behind that attacks on sony/data theft etc. Anonymous did Ddos before to make servers down, for some cause. But they are not Greedy of Money and they never wish to harm the Innocent Sony customers. Finally the Conclusion is that, Some other Group of Hackers using name of Anonymous for doing these data theft. I would like to Request Sony that, Please concentrate on your security 1st, RATHER than blaming Anonymous, Because THN aim is Cyber Security and Awareness !! 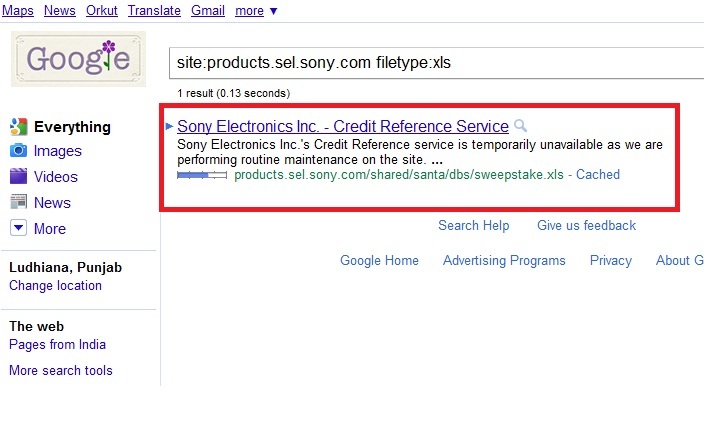 One more thing I wanna say at last, Does Sony know that embedded an Administrator's real e-mail address on a website isn't the best cybersecurity practice ? ;-) Or As We came to know that, Stored user and credit card information on Sony server with an outdated version of apache in plain text with no firewall ,Now this anyone can get via just Google . Come on ! Hire some best Security professionals Like Mr. Kevin Mitnick ( My inspiration ) :D , Security Experts should knows that how hackers think, How they work, how they write exploits. Sony ! Please Don't Worry, you will be back soon and with more Security. Media should not create Issues on 3rd attack, It was not an attack.. That was just the indication that some more hackers are/can trying/try to find more security holes for 3rd Hit. 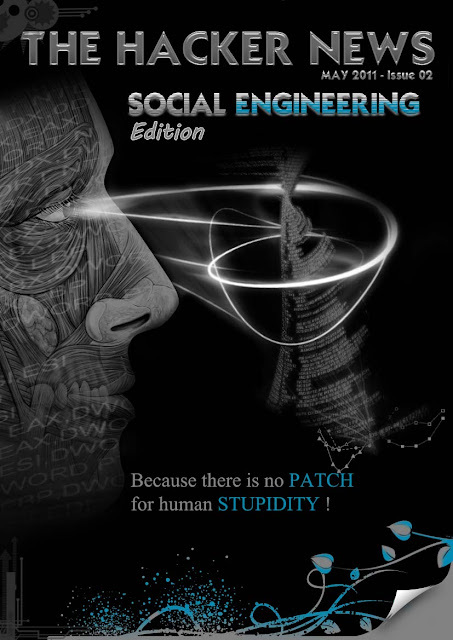 Keeps your eyes Open, we are here to provide every update about Hackers/Cyber Crime/Hacking/Security ... Stay Tuned !! !